Our main hallway. Fully equipped. A second floor accessible from the hallway, is used for additional equipment storage. 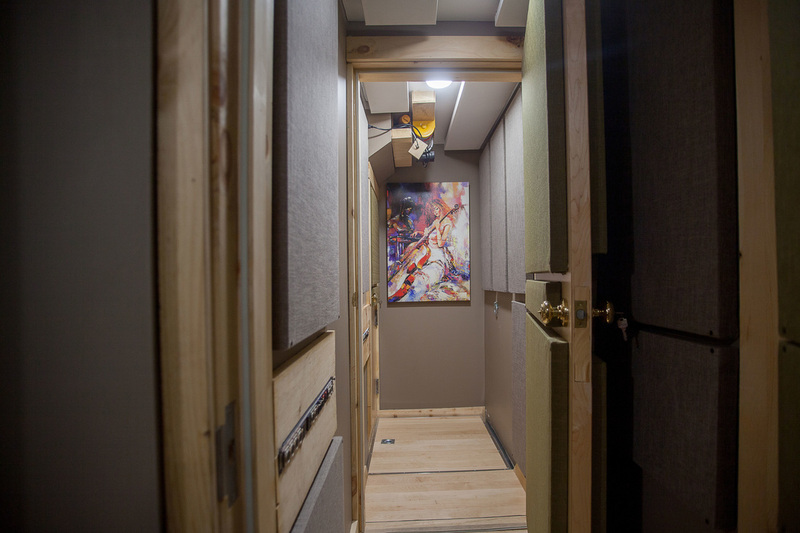 Through the hallway sliding doors, you'll find our live room. Equipped to handle up to 16 XLR inputs simultaneously. 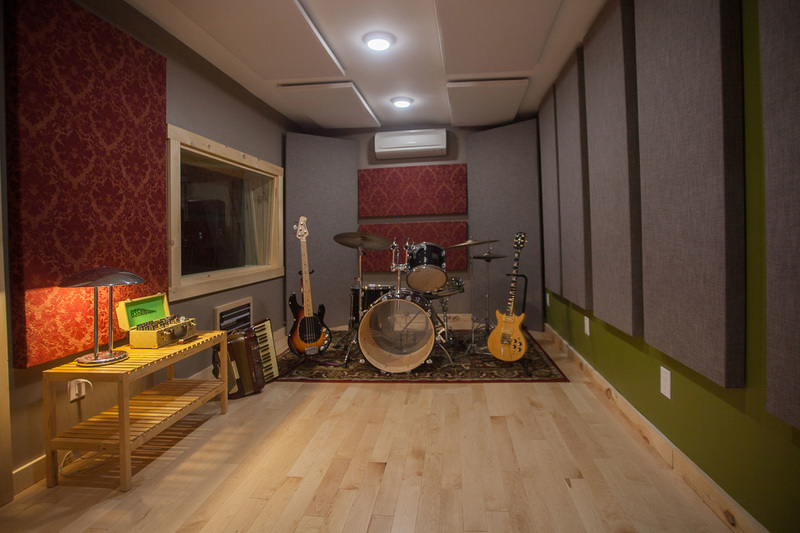 Equipment can easily be removed from the live room, making it a perfectly isolated space for rehearsals & small events. 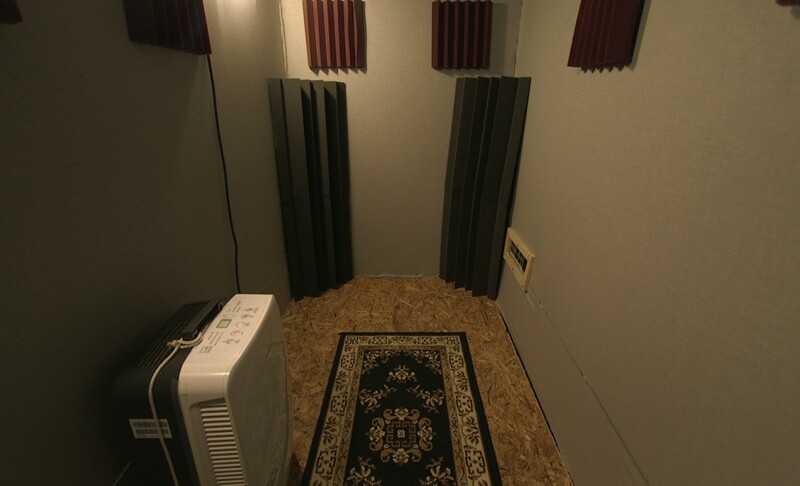 For voice recording, enter our primary vocal booth through the hallway or the live room. Warmly designed & fully equipped. 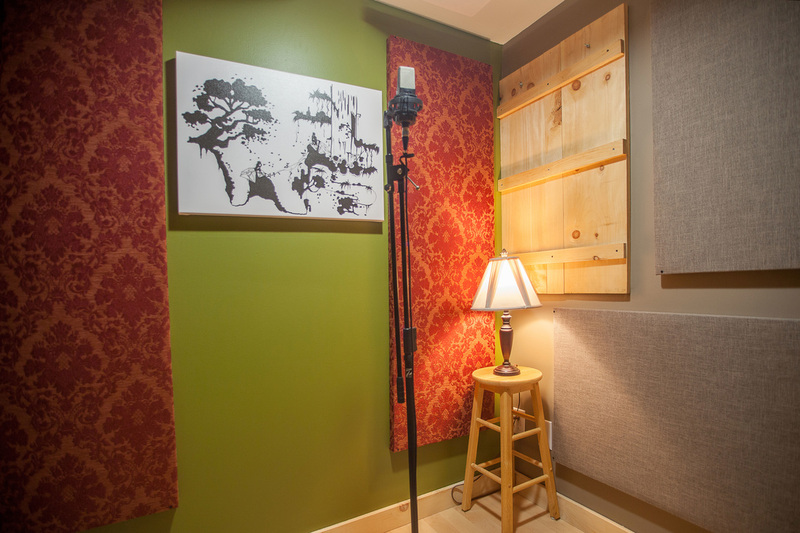 From the vocal booth you can enter the mixing room, which looks out onto the live room, and the vocal booth. Our control room equipment list is a bit further down the page.. Acoustically treated for an accurate playback experience. 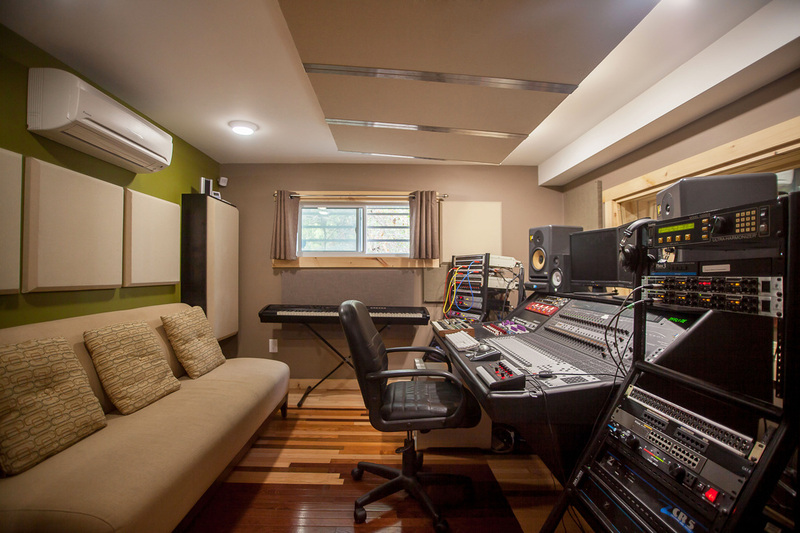 We can record your amp(s) with total isolation, while you play your instrument above in any room of your choice! 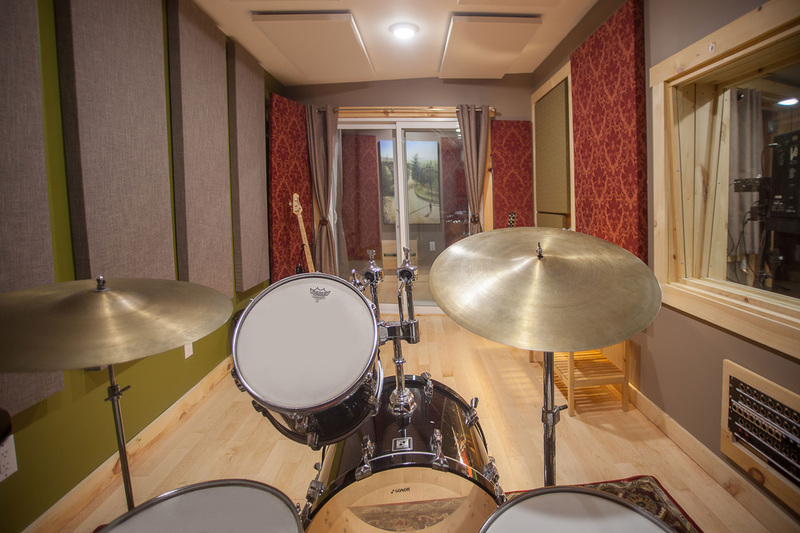 Silverthorn Studios was constructed over a 2-year period with love, patience, and an exacting obsession to make every musician's dream recording space: Warm, versatile, professional as any high-end recording studio, and available at terrific rates. Every step of the way, studio co-founders Taylor Abrahamse & Bryn Scott-Grimes, along with primary consultant Glen Alan, carefully examined and chose optimum shapes, colors, equipment, material, and expertise. 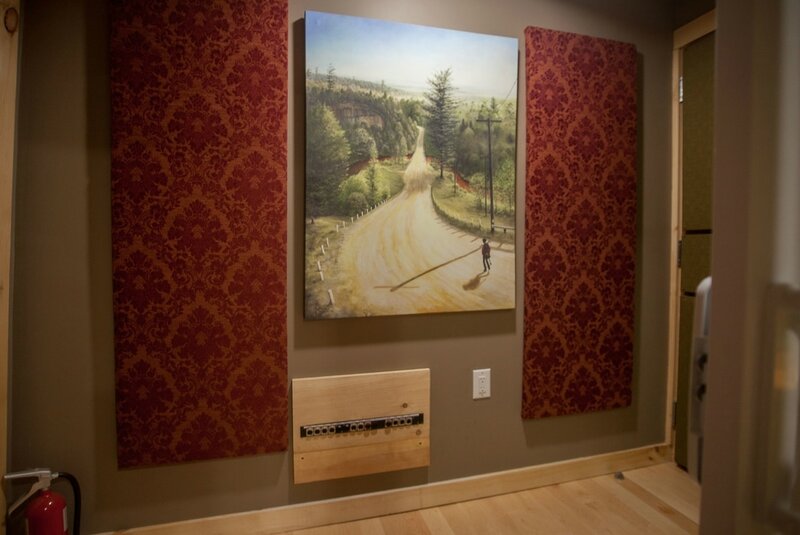 For optimum isolation, the music studio features triple-drywall, resilient channel, and raised floors, along with room shapes & structures carefully designed & redesigned by acousticians, consultants, and contractors with experience building & maintaining many world-renowned studios including Phase One, Revolution, Number 9 Audio, and CBC Studios. 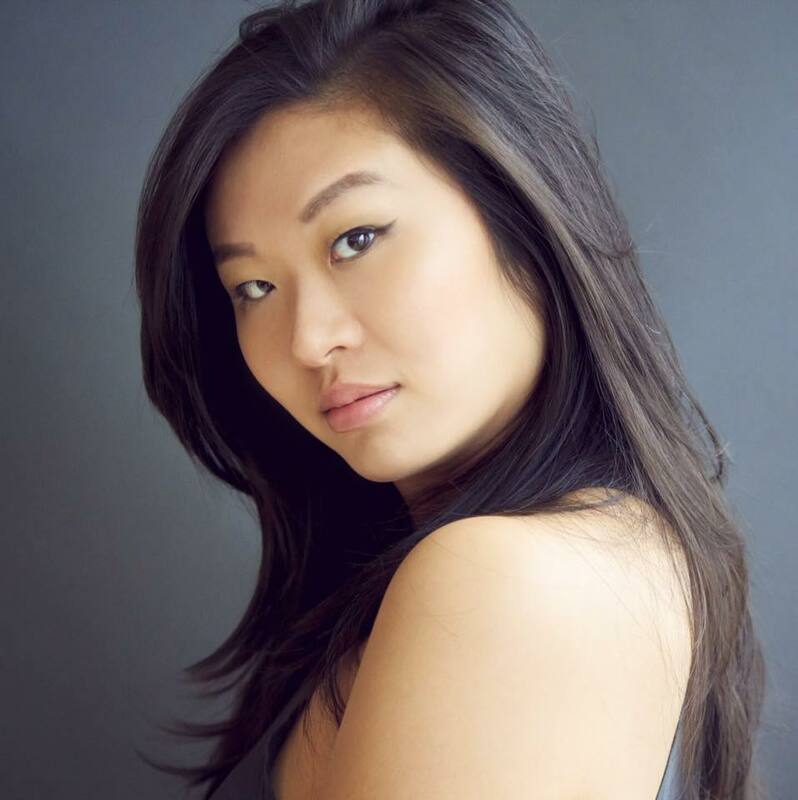 Learn more about our team in who we are. 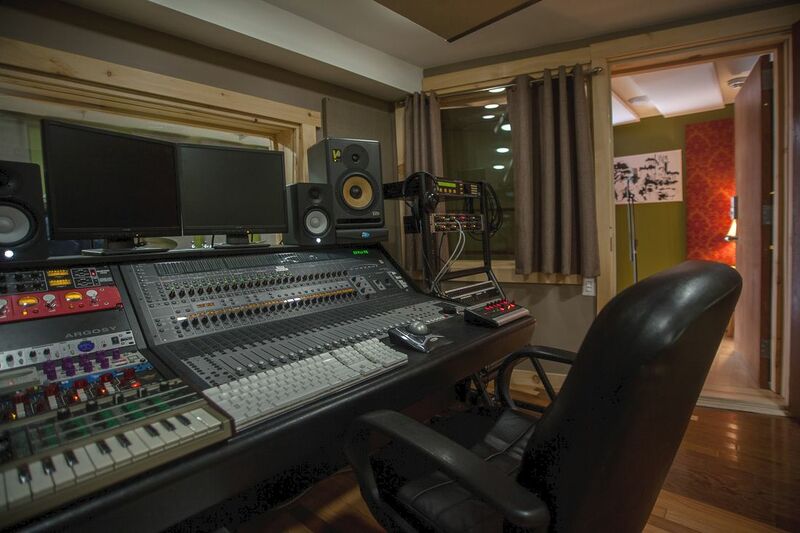 ​Or contact us to book a complimentary studio tour. Setup charges may apply for larger sessions. Prices above do not include HST. *Depending on the project, other equipment can be rented and installed upon request. 4 Powerplay 16 P16-M 16 Channel personal headphone mixers. 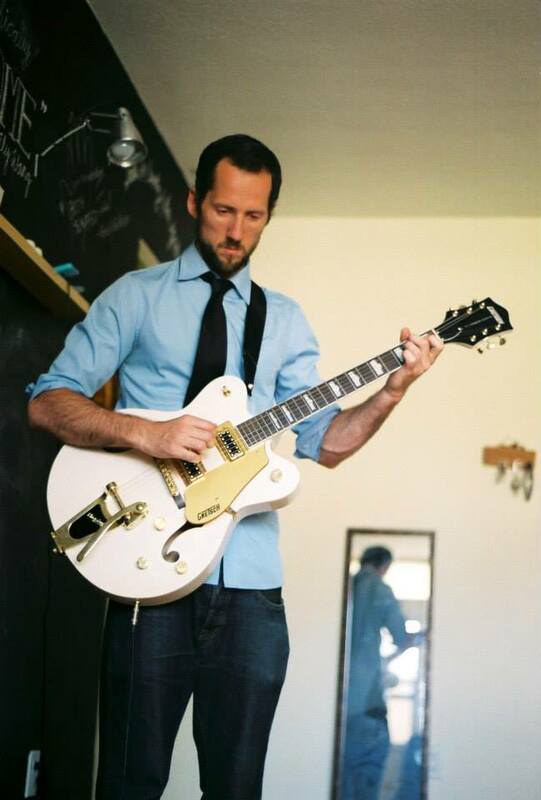 A large assortment of mic stands, music stands & pop filters. Every cable you can imagine... and then some! 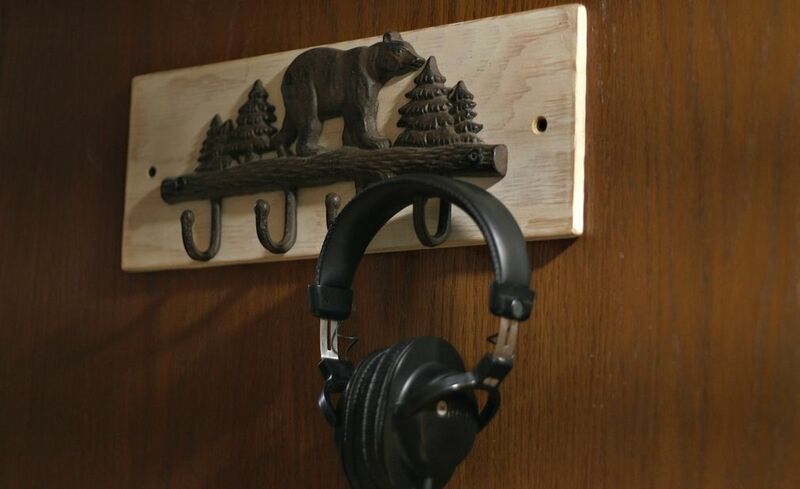 Novelty instruments including hand drums, woodwinds & more.